Last week, Dreamit HealthTech alum Wellth announced it closed a new $5M round of venture funding from investors Boehringer Ingelheim’s Venture Fund, AXA Venture Partners, New York Life Insurance Company, NFP’s Venture Fund, Leonard Schaeffer, CD-Venture, the Partnership Fund for New York City, and Yabeo. With the new investment, Wellth plans to expand its solution to additional insurers and risk-bearing providers who want to improve outcomes in patients with chronic conditions. 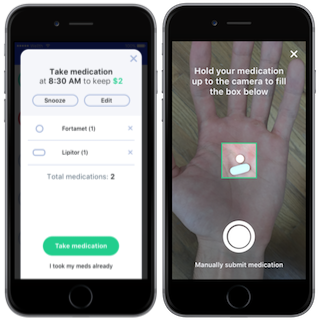 Wellth uses financial incentives and principles from behavioral economics such as loss aversion to change behavior and improve treatment adherence in patients with chronic diseases. According to the World Health Organization, the average adherence rate among chronic disease patients is just 50%. However, Wellth has shown that patients who use its system have an adherence rate of approximately 90%. Patients with chronic conditions like Type 2 Diabetes, Congestive Heart Failure, Cardiovascular Disease, COPD, and Asthma who don’t follow recommended treatments have more frequent preventable hospitalizations and readmissions. These increased hospitalizations and readmissions lead to significantly higher treatment costs in chronic disease populations. For example, one study determined that the direct cost of nonadherence across 230 million patients with diabetes, dyslipidemia, or hypertension was $105.8B in 2010. With a solution like Wellth, payers and providers can reduce costs, accelerate the transition to value-based care, and ensure patients live healthier lives by improving adherence. “We are looking forward to working closely with our investors in this round to identify new opportunities within health insurance, life insurance, health systems and the pharmaceutical industry,” said Wellth CEO and co-founder Matt Loper. In addition to announcing the new funding, Wellth and Florida Hospital recently revealed a significant partnership. Through the collaboration, patients who are discharged from Florida Hospital and have dealt with congestive heart failure, COPD, heart attack, or pneumonia will get to use Wellth. These patients will start with $50 in their Wellth accounts. If they track their medication usage every day, they will receive the $50 at the end of the month. That said, for each day patients don’t use Wellth to record that they've taken their medication, it will remove up to $2 from their accounts. "We see the Wellth app as an innovative way to make it easier for our patients with these conditions get and stay healthy, while also driving down the total cost of care,” said Craig Lindsey, the chief nursing officer at Florida Hospital DeLand.